I don’t know anyone in today’s economy in this country who isn’t looking to make more money. And many are trying really hard with side hustles, while others just don’t know where to start. So I’m here to help you find something that works for you — the side hustle that’s a perfect fit for your interests, your financial needs, your lifestyle, and your time. And really, who isn’t looking to make more money? Whether you just want to supplement your income, or whether you hope to turn your side hustle into a long-term way to replace your day job, you need something you can get into quickly and easily. These days, more people than ever are using ridesharing services. Personally, every time I’m going to or from an airport, I don’t bother with driving and parking at the airport and I rarely rent a car. I call a Lyft or Uber. And I know many people do the same. And I’ve been in the driver’s seat, too. If you have a car and a smartphone, you can drive passengers around town. I’ve done a stint as a Lyft driver — and it netted me $200 one day. Seriously. I decided to drive on a Saturday for my city’s Beer Festival. 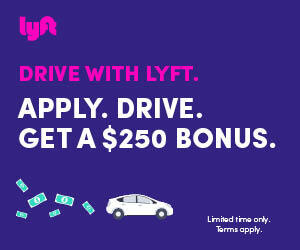 Plus, with Lyft, you have the option for the money to be deposited into your checking account automatically once you reach a certain threshold. No waiting for pay. My $200 showed up the next day. And you can now even rent cars from these companies to use to make money as well as have for your personal use! You don’t even need to start with your own car. When I first signed up, it took three days for my application to be approved — they review your DMV records and verify your insurance — but once it was done, I was on my way. There’s also no reason you can’t try Uber, too. Many people drive for both. Keep a clean car and a good driving record, and you should be set. Sign up for Lyft here. The sharing economy is a great way to make money, and Airbnb is a popular way to do it. Offer your home, or even just a room, to others online. They pay you to stay. If you want to make money while you are home, and you don’t mind sharing space with strangers, it can make sense to rent a room. If you want to make money while you’re out of town, you can provide a run of the house. Other sites like VRBO.com and Home Away can also provide you with the same access to earning opportunities by leveraging your home. Sign up for VRBO.com here. Renting out extra space is becoming incredibly common, so this is something where you don’t want to wait. As more people sign up, competition in your area can hurt your profits, so get into this ideas as soon as possible. I have friends who are buying properties that are larger than what they need because they know they can cover a good portion of their expenses through income they get renting out a portion of their home. If you’ve ever been concerned about cash flow, rental income through these services will help you. Keep in mind that some work is necessary to keep up the appearance of your rental space. But once you’re earning steady cash, you can set aside a portion for repairs, cleaning, and maintenance so you can do less of that work on your own. I don’t get a ton from this, but I’m also not super-serious about it. However, over the last couple of years, I’ve managed to end up with close to $700 in Amazon gift cards. You perform small tasks (like answering a daily poll or watching videos) or answer surveys. You receive Swagbucks that can be redeemed for various rewards. I like Amazon gift cards, but your thing might be something else. There are thousands of retailers offering gift cards for rewards, so you’re bound to find something you can use. I even added the browser plugin so I earn Swagbucks on my regular online shopping, like when I buy airline tickets. The number of options at SwagBucks is staggering. Just about anything you can possibly think of to do online can be done through Swagbucks. So you don’t even have to do anything extra. If you need to search for something, use Swagbucks. If you need to buy something, use the Swagbucks site to find an online store that will reward you. If you want to play a game online, look at what Swagbucks has to offer. Sign up for SwagBucks here. While you can use a site like Swagbucks to earn money, you can also go to dedicated survey sites. These might actually provide you with cash. You can use Survey Junkie and other sites. You’re not going to become wealthy beyond your wildest dreams, but you could earn enough for a night out each month. These surveys can be mindless ways to change some of the downtime you have into income time. Need to take a break and veg out on the couch with the television on? We get it. Life can be stressful and different people unwind differently. You shouldn’t be ashamed of using some of your time to zone out. But log into Survey Junkie on your phone at the same time and pay for the delivery food you’re ordering tonight. Is this starting to sound a little like my life? Maybe. Sign up for Survey Junkie here. Do you know valuable information you could teach to others with a course? Udemy can help you put your course together and sell it. Udemy will take a cut of the sales, but it handles everything about creating a course. It makes the whole process easy. As long as you create something great that helps people, you will be likely to make a little extra money with Udemy. Make money IRL. Many of these side hustles have a reasonably low barrier to entry. Plus, you can get paid quickly and easily. Guess how my 15-year-old son has been making money? By house sitting. All he has to do is check on things every day. He collects the mail, waters the plants, and brings the garbage to the curb (and takes the cans back to the house). In one case, he also checked the temperature and other levels of a saltwater fish tank. If you are able to make the rounds, you could make some good side money as a house sitter. While you’re taking care of things, don’t forget about pet sitting. If you are good with animals, you can take on pet sitting. You can watch them in your home, or you can go to their homes to take care of them. Are you good at helping people get into shape? If you have the right certification, you could be a personal trainer. One creative way to go about this is to see if you can get on at a gym. They might let you have a free membership and pay you. One way to make more money is to sell drinks when it’s hot. Bring water to a parade in one of those rolling coolers and sell it for $1 or $2. I was able to get a 24-pack of water at my local grocery store for $3.99. The profit margins on this one are pretty good. You can also sell sodas as well. Keep people cool on a hot day at a fair or parade, or just along a common running route, and it could mean a tidy profit. Do you know how I know you can make money doing this? Because I pay someone else to mow and edge my lawn. I even paid them to rig up a sprinkler timing system so I wouldn’t have to water the lawn. Start a lawncare business and people will happily pay you to take the work off their own hands. My mom’s sidegig is tutoring slow readers. If you are good at math, science, reading, English, or some other subject, offer your services as a tutor. For awhile, I even tutored graduates on taking the GRE because my scores were so good. If you have good standardized test scores, you might be able to parlay that into a decent job. Sure, it means you don’t get to imbibe. But it also means that you could end up getting a little extra cash. When you go out, let your friends know you’ll happily be the designated driver if they all chip in. Then, if you let the bartender know you’re the designated driver, you might even get free sodas all night. Some airports don’t allow Uber and Lyft drop-offs. Or maybe you want to drive people around for their errands. Not everyone has a car, but they might want help getting groceries or picking up the dry cleaning. Offer this service, and you could make some money. Or, consider signing up for Lyft (see #1) and taking advantage of the hourly rate for waiting on top of the payment for the ride. Let people know you’ll wash their cars for a good price. You can even add detailing services, like vacuuming out the car, for a premium. Lots of us don’t want to deal with our cars and cleaning them, so this can be a good move. If you want to get really creative, go to local car dealerships and ask them if you can wash the cars there. You might be able to get a nice little side gig washing cars for dealers. After a year of teaching piano lessons, I realized that it wasn’t for me. However, if you have patience and talent, it might be for you. No matter what instrument you play, there’s a good chance someone else wants to learn it — and you could make money teaching it. I live in an area where people love to visit and see the outdoors. If you love being outside and you are near some of our natural wonders, offer to be a guide. My uncle was a river guide for several years. You can also take people on fishing trips, hiking trips, and make other arrangements. One thing I’ve toyed with is taking small groups to the best stargazing spots nearby. Sign up for TaskRabbit, and you could be ask to complete simple tasks in your area. This could include things like putting together furniture, running to the grocery store, or taking someone’s car in for an oil change. Pay varies according to task, but getting involved can be a great way to make a little extra cash. Do you have a truck? If so, you could make some money by delivering firewood. You might even get more money if you are willing to chop it. Look around. Some furniture-makers and others sell odd ends for cheap. You could pay $40 for a load of wood and then turn around and sell and deliver it for $75. You can also look in the paper for people who offer firewood for free to people who will haul it away. Get the wood for free and then turn around and sell and deliver it. With a can of spray paint, some stencils, and a willingness to hit the pavement, you can make more money painting street numbers on curbs. I once paid someone $8 to paint street numbers on my curb to make it easier for people to find us. You can do this for mailboxes, too. Yes, it’s a real thing. I’ve been paid to do it. I’ve been paid to check out mattress shops, bank customer service, and more. You do need to watch out because there are scams out there. But if you sign up with a service like Best Mark or Intelli-101, you can get a few gigs and make more money by doing what you do naturally. If you don’t mind cleaning up after other people, you can be a house cleaner. For bigger savings on supplies, let your clients know that they need to provide the Pledge and the floor cleanser. Depending on your state regulations, this may or may not be feasible. But if you are just watching a couple of kids, you could start a business without the need for state licensing. Watch children for working parents. You could even see if you could get paid for taking the kids around to their activities. Many restaurants like the idea of having live music, especially on weekend nights. If you can play music, check with local restaurants to see if you can play. Collect tips as a way to make more money on the weekend. At the very least, many patrons will be willing to buy you a drink or two. One of my friends get paid $20 an hour to help baby boomers (and those even older) to learn how to use their computers. If you can help someone else learn how to check their email or navigate Facebook, you could earn a little extra scratch. Selling on Craigslist or eBay isn’t just for your old comic book collection. You can make money selling other people’s things. You can ask for a flat fee to list items for them, or you can collect a percentage of the selling price. Either way, you could make some good money by helping people who aren’t as computer savvy make money selling their things. Dog walking services can be valuable for those who want to make sure their pets get exercise, but can’t walk them during the day. 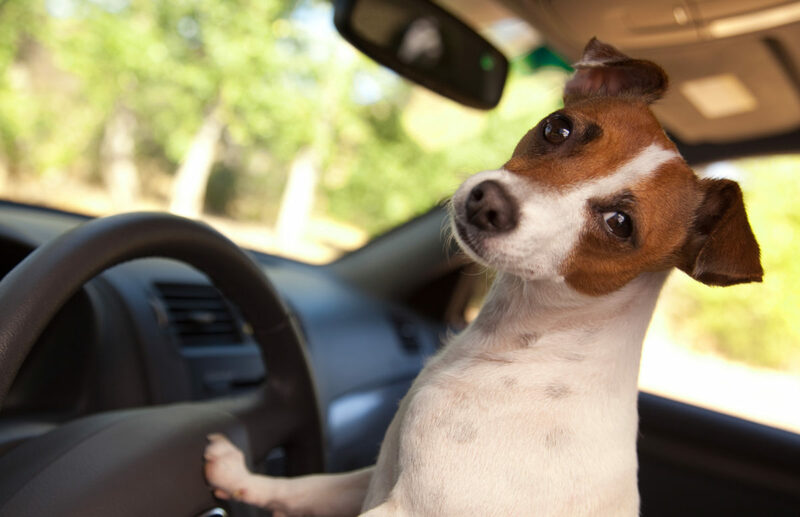 Set up this service and you could get paid to spend time with a furry friend and get a little exercise of your own. You might be surprised at the ways you can make more money by selling yourself. One of the easiest ways is to donate plasma. You can make it a habit to go in a couple times a week to make some money. I know someone who has used plasma donation to pay for his family’s monthly grocery costs. Yes, professional cuddlers do exist. And you could be one of them. You might be surprised to discover that people will pay for 15 to 20 minutes of human interaction. Use a reputable service that screens its clients, though, and be careful. It’s supposed to be non-sexual, but you do need to watch out for predators. Are you good at coordinating with others? You could create a side hustle in event planning. Talk to businesses and individuals about paying you to put on events. From arranging business luncheons to putting on bridal shows to actually planning weddings and other parties, you could make more money by putting your organizational skills to work. Speaking of organizational skills, you could also start a side gig as a home organizer. Use these skills to help people re-do their closets. Help people organize their pantries. It’s a good way to use a talent for neatness to your advantage. If you take good photos, you can hire out to do this job for others. Take family portraits, wedding photos, and more. You can find a low-cost lighting kit online and even set up a makeshift studio for inside shoots. If you are able to take it up a notch, you could even sell services as a videographer. Depending on the brand, you might be able to make money doing this part-time. You could visit college campuses to encourage people to use a brand, or appear at local events. If you’re outgoing and passionate about a brand, it can be a good way to make more money on the side. You need to be savvy and know what you’re doing. I have a friend who buys inexpensive cars that just need a little work. Many people sell cars with dead engines for low, low prices. If you know how to work on cars, you could switch out the engine yourself and then sell the car for more. With the right eye, this could work out well. If you have at least a Master’s degree, you can teach college as an adjunct. This can be a great way to make more money and do something fulfilling. Plus, in some cases, you might even be able to get an online class to teach. Of course, if you want to make more money from the comfort of your home, there are plenty of ideas for online side hustles. This is a cashback site that helps you get money back for regular purchases. You do have to be careful with side hustles like this, that involve buying things, because the whole point is to make more money — not spend it. But if you combine use this site for planned purchases and coordinate with your other rewards programs, you can save a lot of money, and even make some money. Can you do things quickly? If you can do quick voice-over work, create a fast design, or write short descriptions, Fiverr might be a good choice for you. Many of those offering services on Fiverr start at $5 for a small service, but also advertise packages that are more expensive. The more you sell, and the better you do, the better your payouts and gig offers. If you have some generic, yet attractive, photos, you can sell them online. Companies like Shutterstock, SmugMug, iStockPhoto, and Bigstockphoto all allow you to market your work. This can be a great way to make money from your work. There are websites, like Testbirds, that will pay you to earn cash by surfing the web. User testing is all about providing feedback on the way you use apps and websites. If you have items that you dom’t use and are in good condition, you can sell them online. Not only that, but you can also go looking for items to sell. Visit yard sales, buy things at low prices, and then sell at a profit online using eBay or Craigslist. If you are crafty, use Etsy to sell what you make. Use your organizational skills to help business-people manage their schedules and email. You can get help with finding virtual assistant work through a site like Upwork. I have a friend who, when he wants to go on vacation, writes a romance novella and then sells it on Amazon. He only deals in digital copies (no hard copies). With the right approach, you can write books and sell them online, keeping more of the royalties for yourself. Amazon’s platform is easy to use. I know. My book, Confessions of a Professional Blogger, is self-published through Amazon. One of the most popular side hustles is blogging. While it can take some time to see results, this can be a profitable way to go. It’s fairly easy to get started when you use a low-cost service like Blue Host, Host Gator, or Go Daddy. You can use affiliates to make money, getting a small commission each time visitors to your site use certain products and services. You might be surprised at how much voiceover work is available. You can use a site like Backstage to find voiceover jobs and complete them over the internet from the comfort of your home. My entire life is possible because I started freelancing more than 10 years ago. I do it online, it was very cheap to start, and it’s provided a very flexible career for me. You do need to know how to write and be willing to start out with somewhat low pay. But there are plenty of places to start looking for work, including places like Text Broker, Guru, oDesk, and Freelancer.com. Many people need help with their cover letters and resumes. If you know current best practices and have an eye for detail, you could be that person. People always need help with their websites. If you have the skills, you could help people develop attractive and functional websites. Look for businesses that need help managing their social media posts and strategy. You can schedule posts, create attractive and effective messages, and share them. If you know your way around app development, you could make money. Not only can you create your own apps and sell them, but you could also help other people develop apps. Receive payment when you create apps for others. I know several people who do medical transcription and billing work. You can often set your own hours or take as much or as little work as you want. It’s also possible to hire out to do transcription work for the courts. They often need transcripts of depositions and interviews. In an increasingly global economy, it’s common for people to need things translated. Books, training materials, and other items might be translated into another language. If you are fluent in another language, you could sell your skills. If you know your way around a keyboard, you can make money doing data entry. It can get tedious, but for some people, it’s a regular paycheck. You just need to pay attention to detail and make sure you are entering the data correctly. You might be surprised at how many people are looking for researchers. If you have the right research skills, you might be paid to find information for academic papers or white papers. You could also offer your services as a geneological researcher if you are talented in this area. Many people don’t have the time to dig for answers themselves, so they are more than willing to pay someone else to do the heavy lifting. I’ve had coaching sessions with people all over the world. In fact, the first person I coached financially was located in Germany. Using sites like Savvy can help you connect with people who need help with different problems or who want to learn how to do something. You can work with people to help them become their best selves — and get paid for it. You can sell items online without stocking your own inventory with the help of dropshipping. You provide the storefront and process the sales, but the actual fulfillment is handled elsewhere. This can be an easy way to start an ecommerce store without having to worry about how to store the products yourself. This is another side hustle that can take some time to get started. However, it can be a lot of fun if you do it right and grow your audience. You can get sponsors, or use a service like Midroll to help you find advertisers for your podcast. Maybe you don’t want to actually have a podcast, but you’re good with sound editing. My buddy Steve Stewart actually edits others’ podcasts, and does a professional job, earning money for his services. In fact, he produces Adulting.tv. Even with services available to help you find great deals on travel, some folks don’t want to bother with finding the information and booking the travel. If you have the ability to manage different needs, you could help people book their vacations. You can use services like Priceline, Orbitz, Hertz, Enterprise, and more to find good deals (even vacation packages) and do the booking. Charge a premium on top of the cost of the travel, and you could turn a tidy profit. Your turn: what are your side hustle ideas? Do you have your own side hustle ideas? Have you been successful with a side hustle? Let us know how you make more money by leaving a comment, or by joining the discussion in the #Adulting Facebook community. I work for a company called OnSource. It acts a middle man between customer and insurance companies. I get a call or email from OnSource and schedule a time within 1-3 days. I go and take pictures using the OnSource app and download them to the company. The whole process takes about 20 minutes and I make between $20-35 per case. The only downfall is that it takes a month to get paid. However, if you live in a big city, this could be a money maker. I read about one woman in L.A. that averaged 10 cases per day.